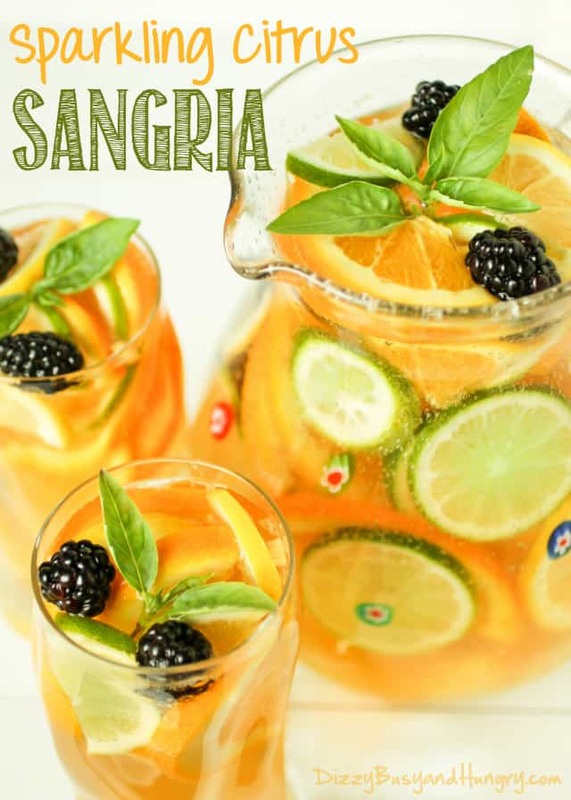 Summer Sangria Recipes - Easy & Refreshing Sangrias You'll Crave! Looking for easy summer sangria recipes? 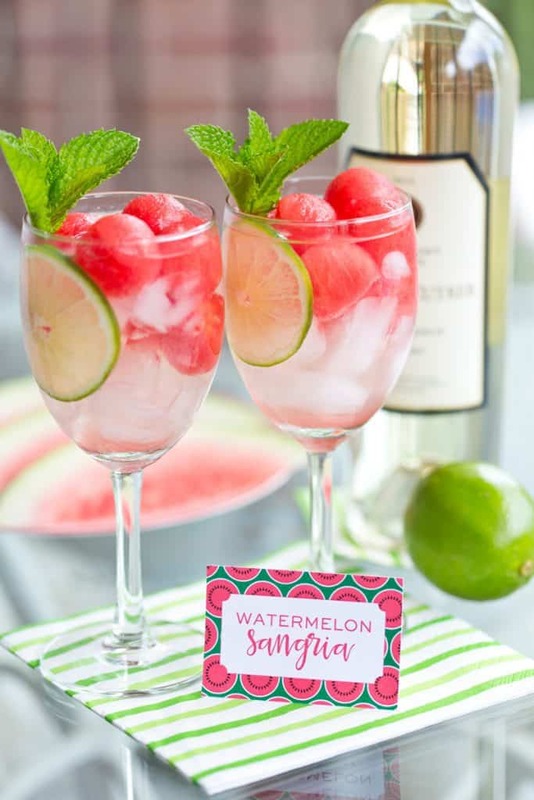 We’ve got you covered with these fabulous fruity sangria recipes – perfect for sipping with your friends in the backyard or around the pool! Crips and refreshing white wine is the perfect choice for hot summer days. Use your favorite white wine to mix up any of these scrumptious recipes. Didn’t you just love biting into a huge slice of ice cold watermelon when you were a kid? This delicious adult beverage will bring back childhood memories! Get the recipe – and be sure to download the adorable Watermelon Sangria sign at Pizzazzerie. 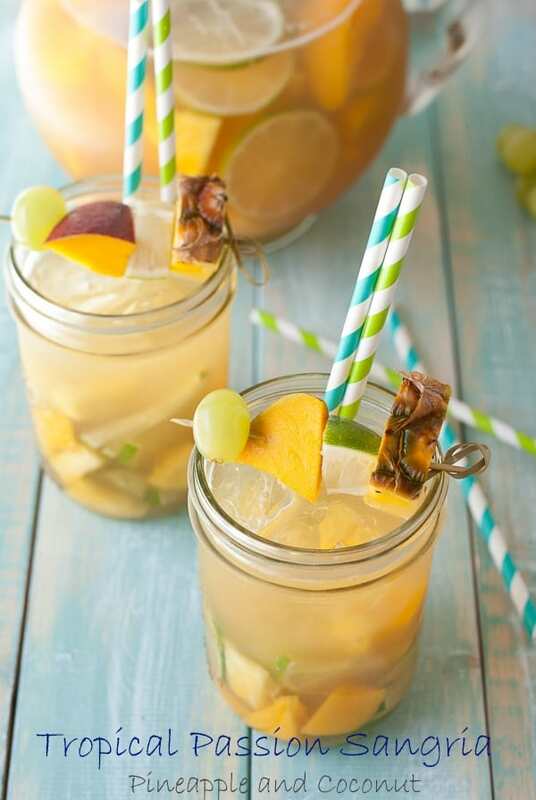 There’s nothing quite as delicious as a ripe summer peach – except maybe this delightful peach sangria! Add peach sparkling seltzer water for bubbles and a little extra peach taste. See the recipe at Scattered Thoughts of a Crafty Mom. What’s not to like about strawberry shortcake – especially in a yummy drink? Fabulous summer or spring cocktail recipe to try just as soon as the strawberries are in season! Put those ripe summer berries to good use with this delightful sangria that uses berry flavored tea as a starter. So easy, yet so delicious! Recipe from The Bewitchin Kitchen. 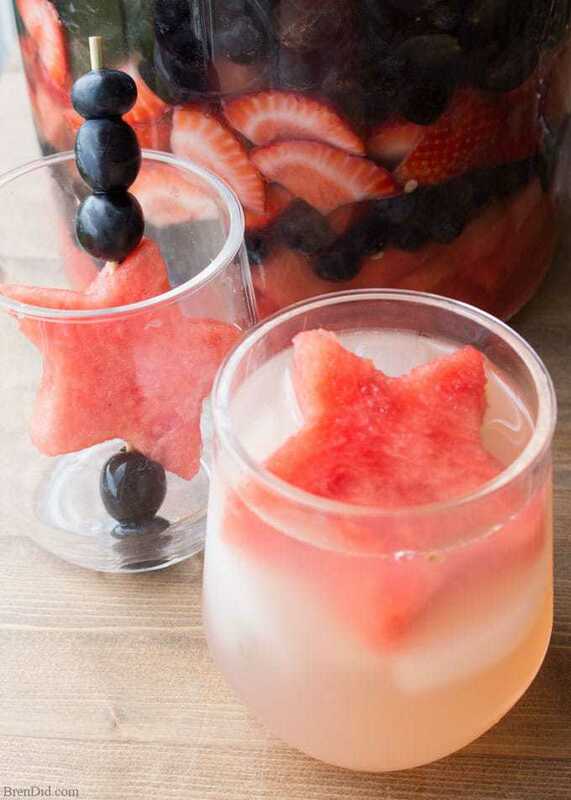 This colorful red, white and blue sangria recipe is a fabulous choice for your 4th of July or Memorial Day party. And don’t you just love the star-shaped watermelon garnish? Recipe and garnish ideas from Brandid. Combine tart citrus fruits with sweet pineapple for a crowd-pleasing treat that’s perfect for any summer party or gathering. Add mint leaves or blackberries (or both) for a pop of color. See the complete recipe at Dizzy Busy and Hungry. So technically a sangria should have wine as an ingredient, but one sip of this delightful beer-based cocktail and you won’t argue the technical points. 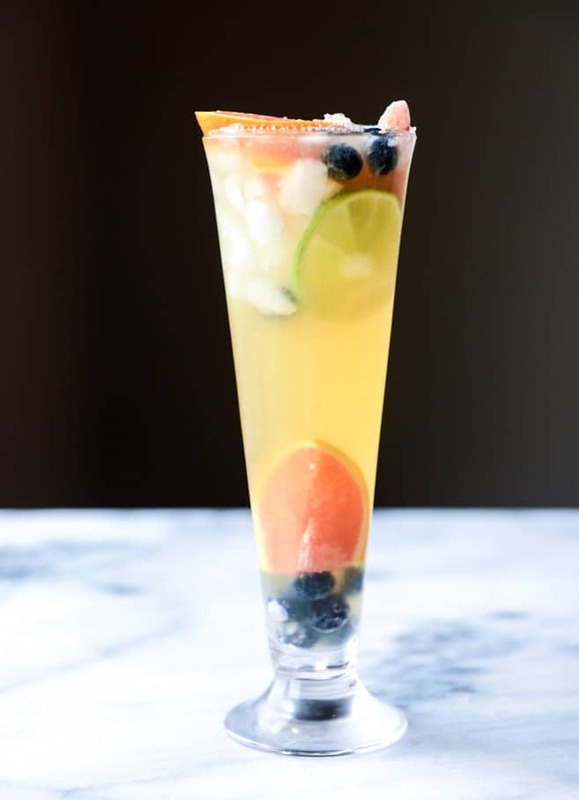 Get this unique sangria recipe at How Sweet Eats. Scrumptious and refreshing, this delightful sangria recipe from Pineapple and Coconut features the exotic flavors of pineapple, coconut and passion fruit. It’s like a mini-vacation to your favorite island! Who knew you could make sangria with so many different liquors? This tangy citrus recipe is perfect for the tequila lovers out there! 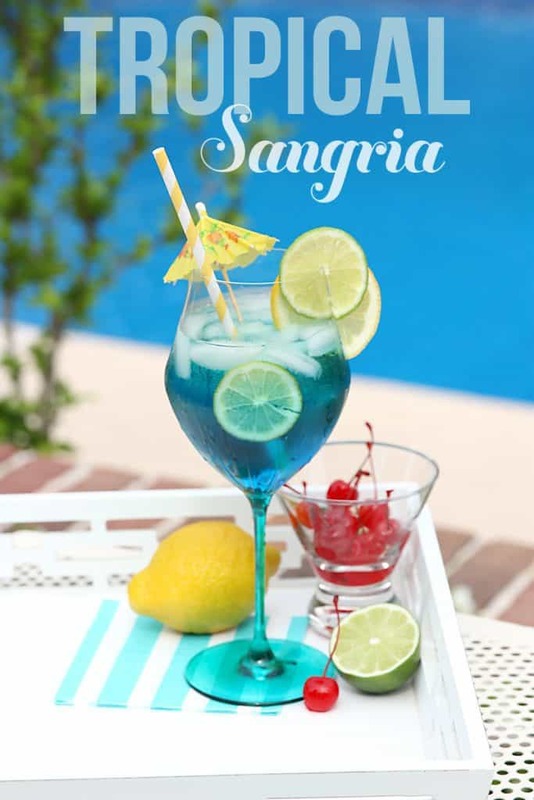 This vibrant blue sangria recipe takes the prize for the most colorful recipe! Close your eyes and pretend you’re on a tropical island. Find the recipe at Pizzazzerie. These ice-cold sangrias are the perfect drink for the heat of summer. Skip soaking the fruit – grab your blender and get ready to party! Don’t you just love these quick videos from Tasty? 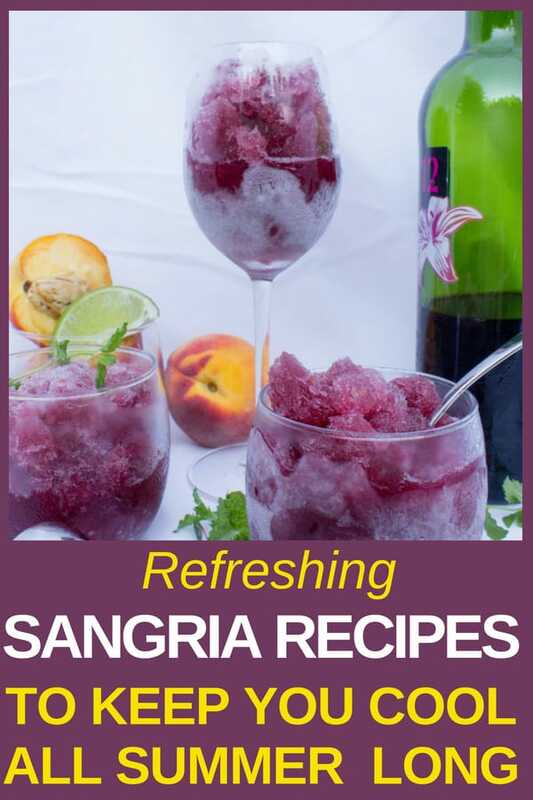 In less than 2 minutes you can learn how to make 4 frozen summer sangrias! 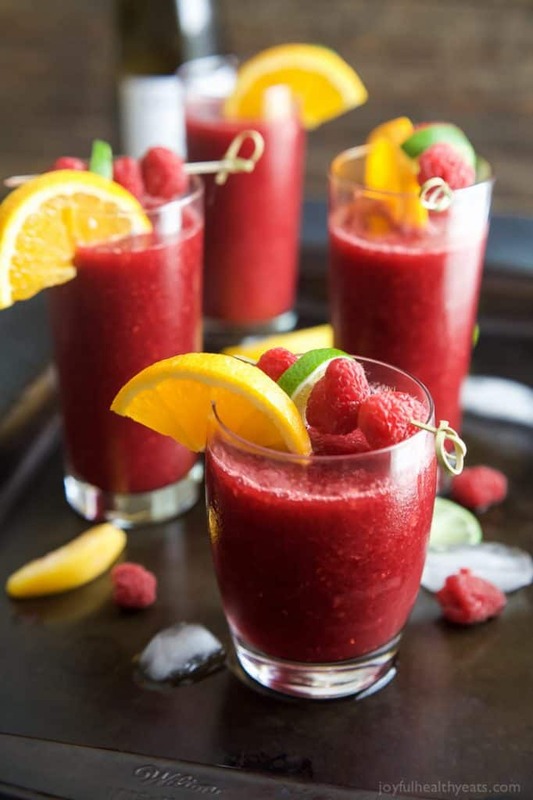 This delightful sangria slushie recipe is sure to become your go-to cocktail this summer. It’s fast (no need to soak the fruit), beautiful and most importantly – absolutely divine. Get the recipe at Baking a Moment. Are these gorgeous sangria popsicles a drink or a dessert? 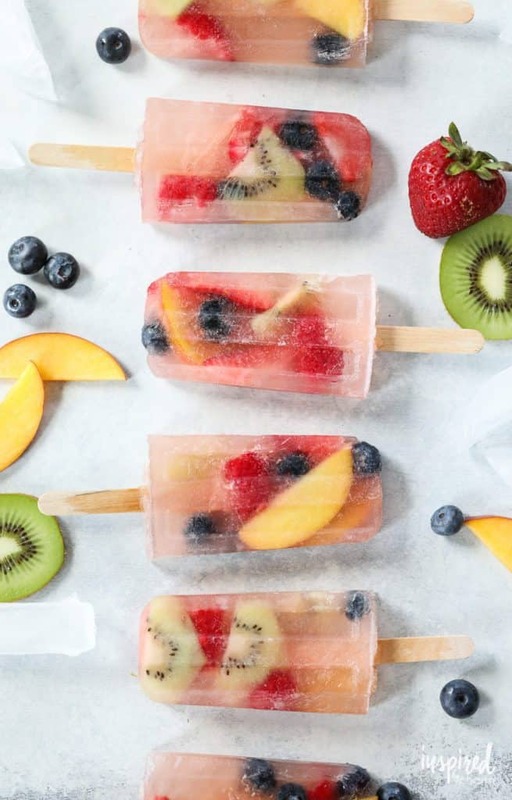 Either way – these beautiful popsicles are sure to be the hit of the summer! Check out Inspired by Charm for the complete recipe and serving suggestions. 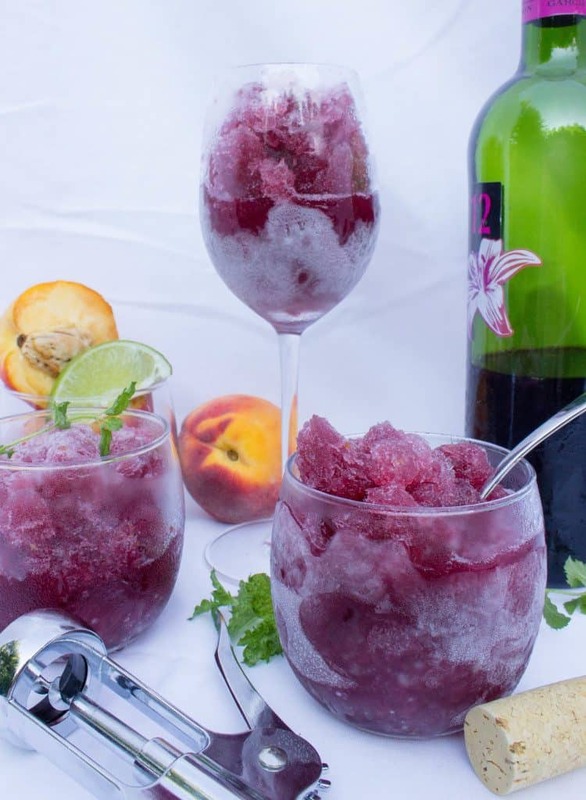 How yummy does this icy peach sangria granita look? It’ll take a couple of hours for the mixture to freeze to the right consistency, but I promise it’s worth the wait! Get the recipe from Sam at Sugar Spun Run. Do you prefer red wine? Then you need to try these refreshing summer sangria recipes that use red wine! Lucious blackberries are one of summer’s most amazing fruits. Combine ripe berries, blackberry gingery ale and your favorite red wine to create an easy summer drink that’s perfect for a party! Find the recipe at One Artsy Mama. 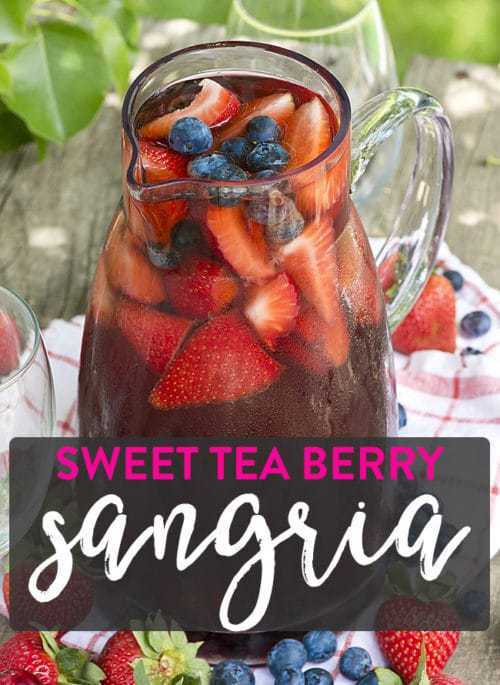 This colorful sangria recipe is a wonderful way to use fresh, in-season cherries and berries…although you can cheat and use a frozen fruit mixture instead. Find the recipe at Homemade Hooplah. 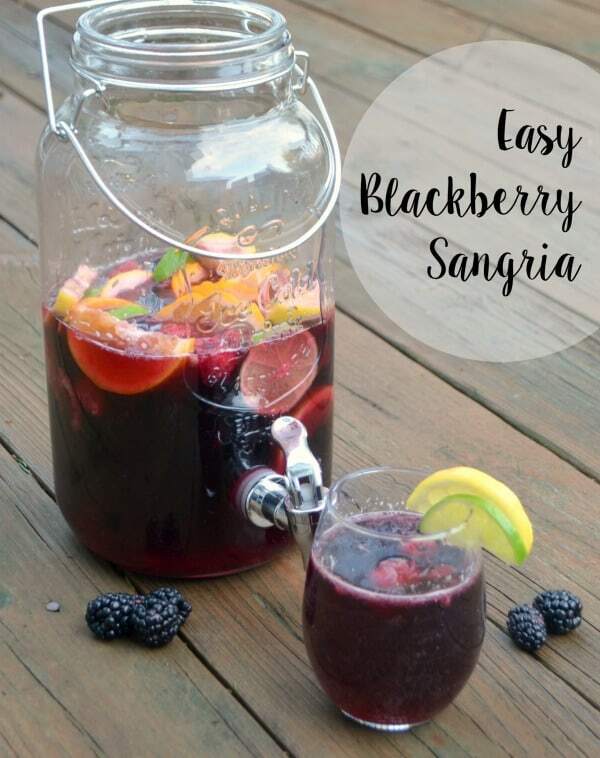 Need to whip up a quick batch of sangria for an impromptu get-together? This quick and easy recipe comes together in just moments…without soaking the fruit all night. Many sangria recipes call for ginger ale or lemon-lime soda. An easy way to cut calories is to replace the regular soda with diet soda…no one (except your bathing suit) will every know the difference! You can also try replacing the sugar in your regular sangria recipe with a low-cal sweetener such as Stevia. 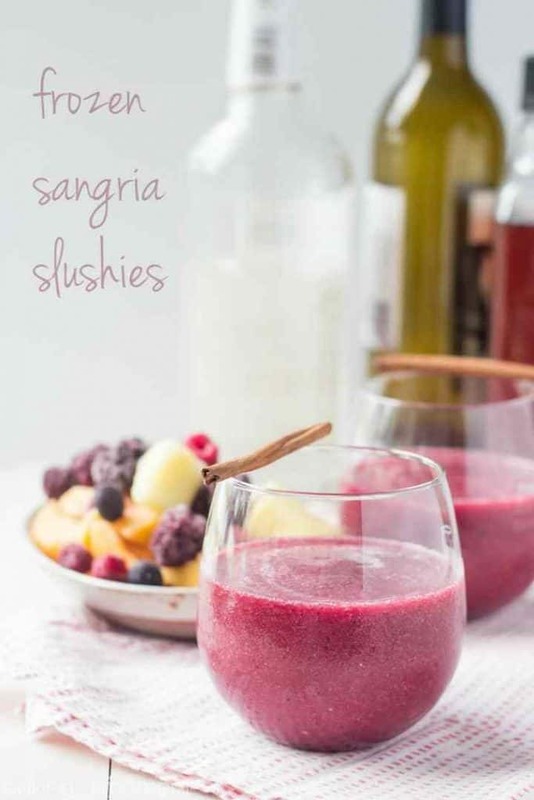 No one will ever dream that this incredibly delicious frozen sangria recipe is only 131 calories! Hop over to Joyful Healthful Eats for this scrumptious recipe. 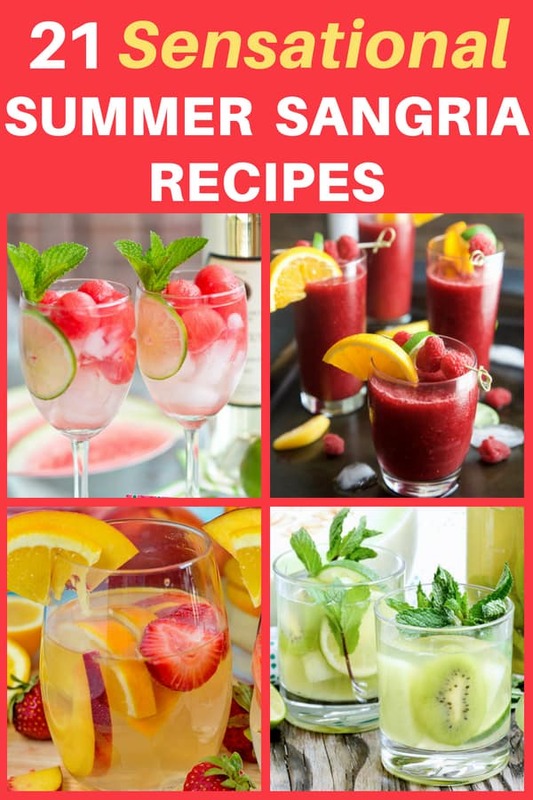 Looking for skinny summer sangria recipes? 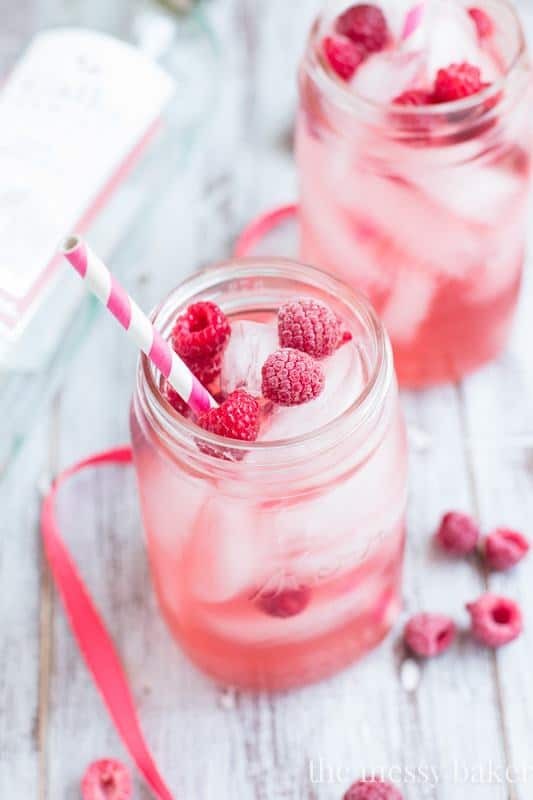 Try this delightful raspberry moscato sangria recipe from One Sweet Mess…make it with diet lemon-lime soda for a yummy sangria that’s only 127 calories. 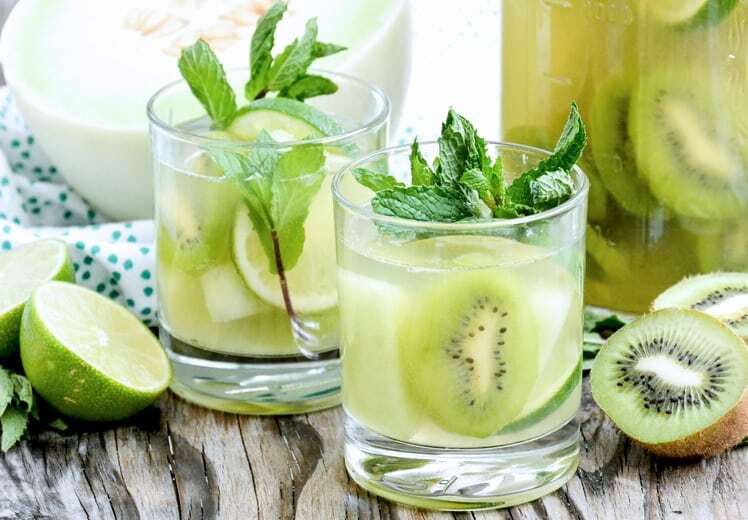 Liz over at The Floating Kitchen offers this fabulous recipe that features the summery taste of honeydew and kiwis. At under 125 calories, it’s the perfect low-calorie sangria recipe that you can enjoy all summer long. 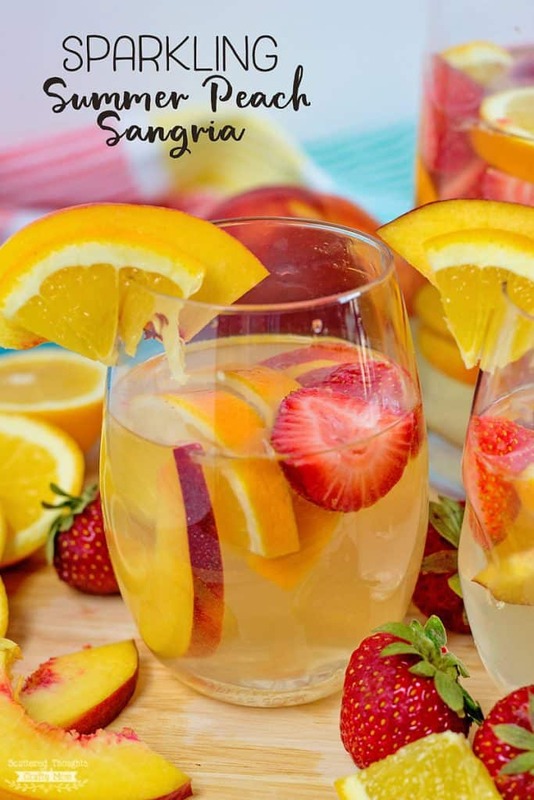 Add whatever seasonal fruits you like to this versatile low carb sangria recipe.